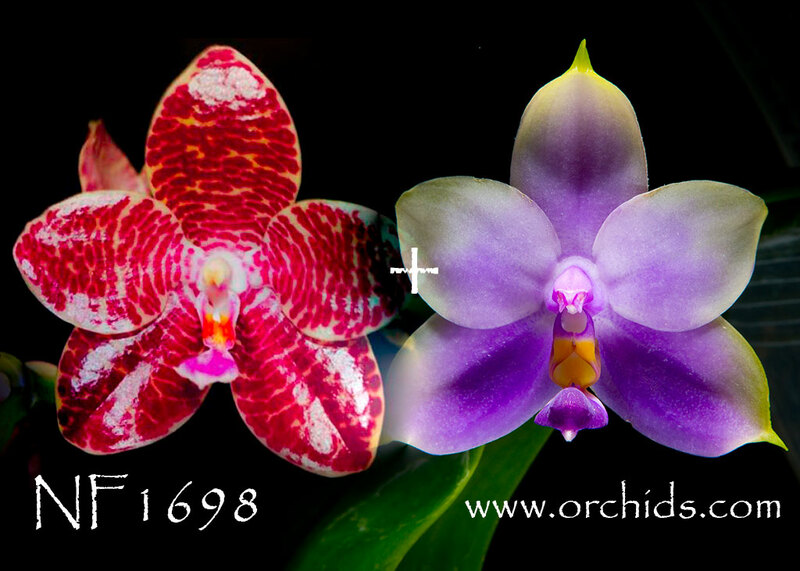 What’s old is new again, as in this new hybrid mating the reliable breeder, Phal. Joey, with our more modern indigo form of Phal. Samera ! Phal. Joey is the result of Phal. gigantea with lueddemanniana and Phal. Samera is Phal. bellina with violacea, producing this new hybrid with four important and proven species parents. Fragrance coming from its waxy long-lasting flowers is to be expected, and we’re sure this cross will produce some very interesting results. We only have 12 plants to share so to avoid disappointment, place your order early ! Highly Recommended ! , only 8 available. Amazing cross.